Establishing Scandinavian businesses in the U.S. every day. Sandra is a native of Sweden and recently completed her LL.M. at the University of Texas School of Law in Austin, Texas. 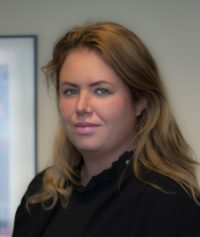 Prior to studying in Texas, Sandra received her law degree in Sweden, and as part of that degree, completed a year-long study abroad program at the Universiteit Maastricht in the Netherlands, a university well known for its international law program. Her international background has made Sandra a wonderful asset to the Martensen Wright team, where she mainly works on corporate maintenance and legal research. In her spare time, Sandra enjoys playing basketball and squash, as well as the piano. She is also an avid reader of anything related to political science and the military. Sandra is fluent in Swedish, Danish, English, Spanish and Hungarian. Copyright © 2019 Martensen Wright PC All Rights Reserved.